ASG Scorpion EVO Steel Spring Guide with Bearing. Upgraded spring guide for the EVO 3A1. This upgraded spring guide has a core of high-tension steel, making it capable of handling any power spring one could wish to install in the EVO. 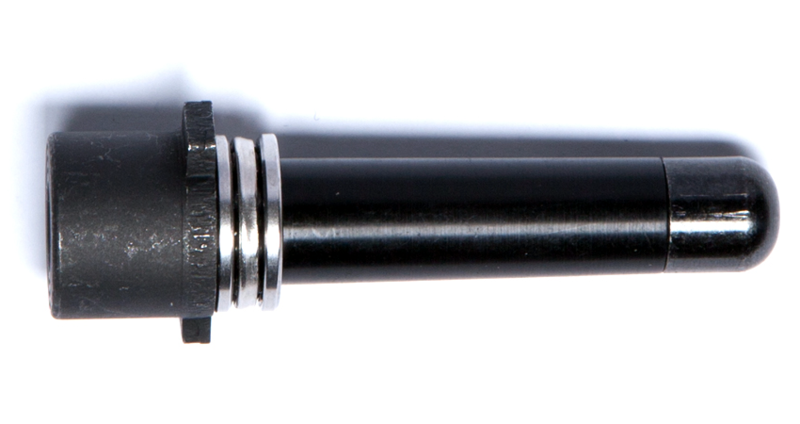 The outer part of the guide rod has a free rotating sleeve made in POM polymer, which protects the spring from unnecessary wear and heat build-up, as well as minimizing friction. In combination a supported pressure bearing this spring guide will handle any power level of springs installed and ensure maximum spring lifespan. It is also the easiest upgrade ever, since the spring guide on the EVO can be removed without disassembly.